Live With Royal Northern Sinfonia is the winner of our Album Of 2016 listings. To celebrate we had a chat with Hazel from the band about how they came to record the album and their plans for the future. 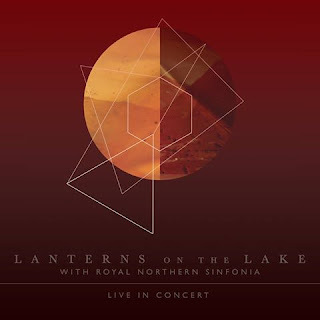 Live With Royal Northern Sinfonia was recorded at Gateshead Sage back in February in the big room. How did it feel to be playing a show at that iconic venue? It’s an impressive venue but the big thing for us was that we were playing this Royal Northern Sinfonia show in the North East. You know, we are from Newcastle and we’ve written all our songs there, rehearsed and honed our craft there, cut our teeth as a live band in the smaller venues there; and there’s a lot of people who have been on that journey with us and watched us grow since our early gigs. So that felt special for us to be able to play the Royal Northern Sinfonia show on the bank of the Tyne and have some of those people there with us. The drama in many of your songs lends itself very well to orchestral interpretation, was this something you had considered for a while? We’ve often created a kind of ‘orchestral’ sound when we are playing live or recording – Paul’s guitar playing often gets mistaken for anything from strings to synths and when he’s playing bowed guitar it can something sound like a small orchestra. Angela plays viola, violin and cello too so the basis for this was always there. I guess it was less of an interpretation of our existing work and more of an enhancement. We were able to bring out the textures and nuances of our songs in a different way. We could span the whole range of colour that exist in the songs but on a much grander scale. How much time did you have to pull things together? Not a lot! We had a few sessions with the orchestra where we worked things out – we would focus on a songs or two at a time. Then we had a run through everything a couple of days before the show and tweaked a couple of things. Then on the day of the show we had our first proper full rehearsal where we were all mic’d up and we had monitors and things so that was really the first time we could fully play through things and hear everything. Was it a conscious decision to focus on tracks from Beings - and do you have personal favourites from the songs that were played? It was mainly songs from Beings because these were most passionate about at the time – they have that depth and potential to go the extra distance with an orchestra. But we also play songs from our previous two albums with the orchestra at the show. This digital release isn’t the full recording of the show, we selected these tracks for this release as a follow up to Beings but we do plan to release the rest. As for personal favourites I was really pleased with Faultlines. I also loved how Stepping Down worked out – I mean, that’s a more electronic track on the album – made up of voice samples and a phone recording of a drum kit but I was really keen to rework it and build those parts up with the instruments in the orchestra – Fiona Brice who was working on the arrangements was brilliant at understanding where we were coming from with this approach. The album has only come out in digital forms so far. It's so beautiful that it would sound incredible on vinyl - are there any plans for physical copies? We’ve had so many people ask about that. The answer is yes. If all goes to plan we’ll put this out on vinyl in 2017 and include some of the extra tracks that we played with the orchestra at the show. Now that album cycle is drawing to a close, what are the plans next for Lanterns On The Lake? For the first time ever we have no immediate plan and that feels pretty good.